“Burly” LLP was incorporated in 1997. The principal activities of a company were the production of the drug substance “Dry and liquid juice of Echinacea Purpuric” and the drug “Ehinal”. In 2001, it was made a decision to release medical products and herbal teas with establishing a full production cycle, from cultivation of medicinal plants, and the last release of substances and finished products with export to the CIS countries and Europe. In 2004-2005, with the support of the Ministry of Health of the RoK one of founders of “Burly” LLP was JSC “National Innovation Fund” of the Republic of Kazakhstan for the funds of which the additional fixed assets had been acquired and circulating assets had been replenished. Delivery of allergens from Russian manufacturers. “Burly” LLP is a modern dynamic-developing science company. The company management consists of experts with the medical, pharmaceutical and chemical education and academic degrees. If necessary, famous scientists from Kazakhstan, Russia, USA, and Turkey are involved for special projects. 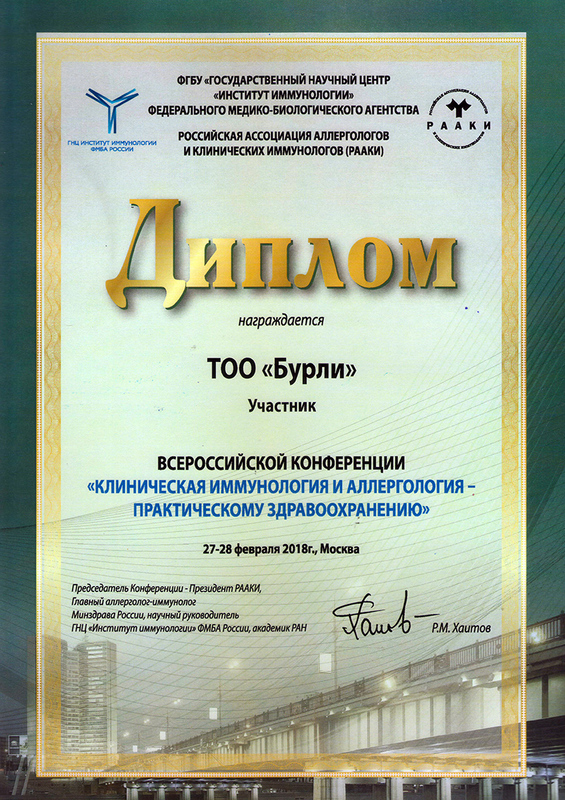 High quality and demand for the products of “Burly” LLP facilitate to successfully implementation of our products in Kazakhstan, as well as Russia, Kyrgyzstan, Uzbekistan and Turkey. The drug “Antipollin” can be produced by individual order of certain regions, considering the specification of disease in the area. We are able to make the allergen extracts from plant pollen growing in the area of potential customers. 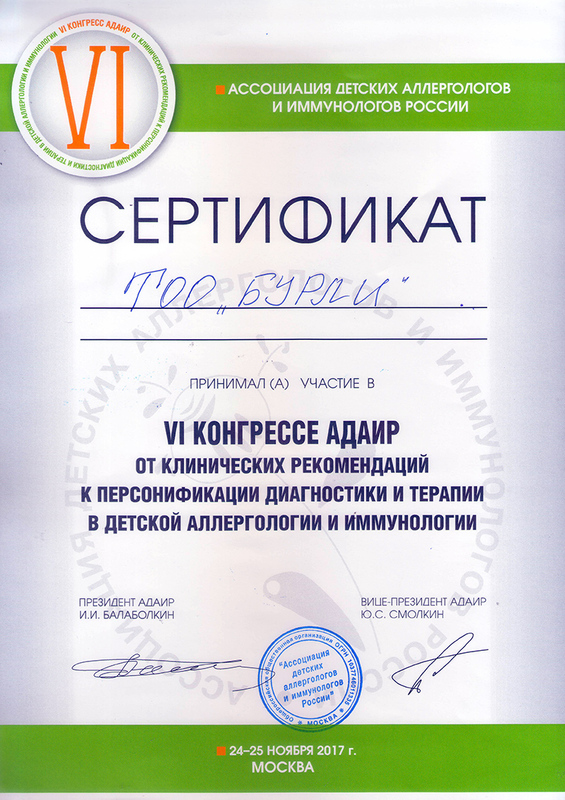 The mission of our company is to provide the population with qualitative, efficient, and most importantly affordable products for the treatment and diagnosis of allergy, as well as to collaborate with all the advanced clinics in Kazakhstan in providing the effective treatment of patients suffering from allergic diseases. The policy of our company is to be the best manufacturer of products for treatment and diagnosis of allergic diseases, focusing on the highest standards of pharmaceutical manufacture and market needs. We tend to ensure the realization of our products not only in Kazakhstan, but also in countries of the former CIS and foreign countries.